As they are exposed to the unfavourable influence of external factors, hands require complex care. 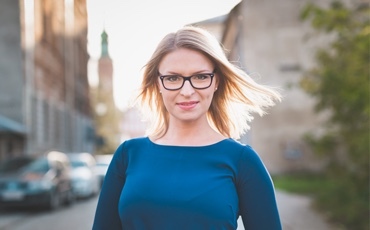 Bacteria, harmful substances, and winter weather with low temperature all contribute to microdamage, skin cracking, loss of elasticity and excessive cuticle peeling. 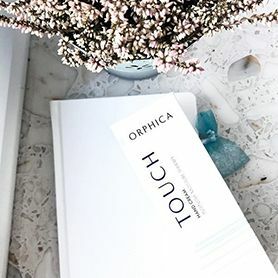 To forget about dry skin and ensure the healthy look of hands, ORPHICA has created TOUCH line - regenerating and caring therapy. Enriched with Intensive Moisture Therapy formula, TOUCH hand cream intensively regenerates and nourishes skin while reinforcing its elasticity and firmness. After applying, the skin is covered with an invisible, protective, water-binding layer. Rich in natural ingredients, the product soothes and hydrates irritated hand skin and delivers relief for dry, chapped hands. The cream nourishes, smooths out fine lines, acts as an antioxidant and accelerates skin regeneration process. The product has been dermatologically tested. Customers who took part in the product testing appreciated the benefits of the TOUCH hand cream. 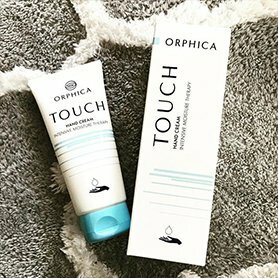 If your hands are in need of intense hydration and you additionally want to smooth, firm and nourish your hand skin then TOUCH hand cream is just for you. Its unique Intensive Moisture Therapy formula has been created to provide deep regeneration and answer the needs of hand skin which is vulnerable to external factors, changes with age, often becomes drier and less firm. The rigorous examination the product has undergone proves the cream does not irritate hand skin whereas its active ingredients make hands supple, protected, intensely hydrated and well-cared-for. They have already achieved the desired results and taken care of hand skin with the TOUCH cream! I immediately knew TOUCH is just for me. I love it when a hand cream provides intense hydration, regenerates even the most cracked skin and, most importantly, does not cause irritation. I really recommend it. Before After I like it when my hands are smooth, soft and well-groomed. Up to now, only few cosmetics yield to my demands but none of them was a 100% match. I value branded products of the highest quality so I'd decided to buy cosmetics from the TOUCH line by ORPHICA. I really like TOUCH hand cream as it absorbs quickly, nourishes my skin and ensures proper moisture effortlessly. I found cosmetics from the TOUCH line. I dote on the hand cream for its ideal composition which is dermatologically tested and does not make me allergic. Btw, I noticed the cream smooths hand wrinkles. Enriched with Intensive Moisture Therapy formula, TOUCH hand cream is a unique combination of active ingredients which care for the hand skin, leaving it intensely regenerated, supple and protected against excessive water loss. High quality, safety, and effectiveness are the guarantee of our customers' satisfaction. The product's composition has been enriched with natural ingredients and extracts which ensure the perfect condition of hand skin and protect against dryness. Glycerine makes skin more elastic and firmer. Urea moisturizes and smooths. Vitamin E acts as an antioxidant, protects and helps to smooth hand wrinkles. Panthenol accelerates epidermis regeneration process, gives skin a velvety feel and has anti-inflammatory properties. As it has the ability to retain moisture, Sodium hyaluronate forms a water-binding film on the hands' surface which ensures proper hydration level. Green tea extract slows the skin ageing process down, ideally hydrates, soothes irritations and inflammations. It is also a source of polyphenols which are rich in A, C, K, and B - complex vitamins, calcium, iron, phosphorus, potassium, and silicon to mention a few. Before you use TOUCH hand cream, make sure your hand skin is dry and clean. Apply a small amount of the cream to your hand skin. Massage gently with circular motions until fully absorbed. 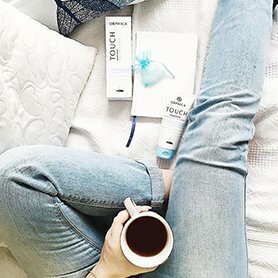 HOW DOES TOUCH HAND CREAM WORK? Rich in natural ingredients, the product soothes and hydrates irritated hand skin and delivers relief for dry, chapped hands. The cream accelerates skin regeneration process, smooths out fine lines and acts as an antioxidant. 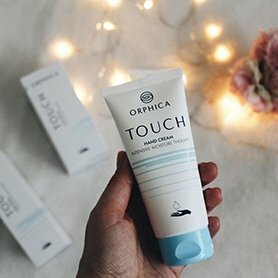 HOW TO USE TOUCH HAND CREAM? All you need to do is to apply a small amount of the cream to dry and clean hand skin. Spread it gently with circular motions until fully absorbed. Do not use if you are hypersensitive to any of the product’s ingredients. In case of contact with eyes, rinse immediately with plenty of water. WHO IS TOUCH HAND CREAM FOR? 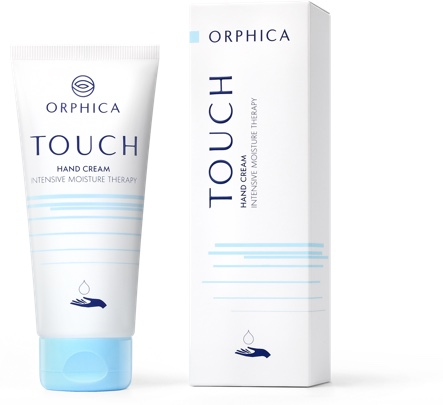 TOUCH hand cream has been designed for those whose hands are in need of complex care and are subject to external factors every day. If your hands lack softness and are rough with cracked, dry skin and over-exfoliated epidermis then TOUCH hand cream is a remedy just for you. To provide comprehensive hand care, use also other cosmetics from the TOUCH line. 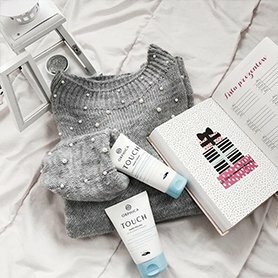 WHAT MAKES TOUCH HAND CREAM UNIQUE? 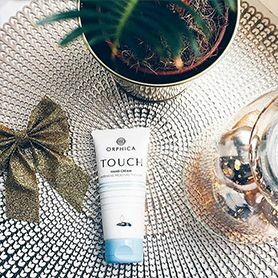 TOUCH hand cream is extraordinary as it is enriched with unique Intensive Moisture Therapy formula which intensively regenerates and nourishes skin while reinforcing its elasticity and firmness. After applying, the skin is covered with an invisible, protective, water-binding layer. HOW LONG IS TOUCH HAND CREAM PAO (period after opening)? 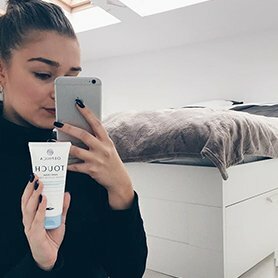 IS TOUCH HAND CREAM SAFE? Yes, the product is completely safe. 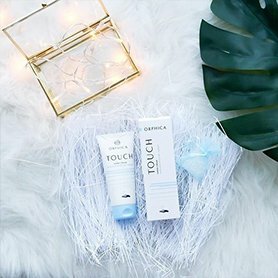 TOUCH hand cream has been subjected to rigorous allergological and dermatological examination which confirmed that the active ingredients contained within intensely nurture and hydrate dry and irritated skin, accelerating its regeneration process. That is why the product can be used without concern. WHAT ARE THE INGREDIENTS OF TOUCH HAND CREAM? 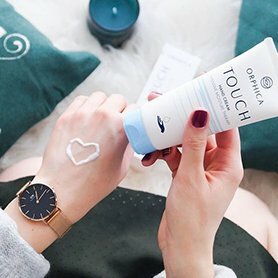 The composition of TOUCH hand cream: Aqua, Glycerin, Paraffinum Liquidum, Caprylic/Capric Triglyceride, Petrolatum, Glyceryl Stearate, Dimethicone, Stearyl Alcohol, PEG-100 Stearate, Stearic Acid, Phenoxyethanol, Tocopheryl Acetate, Parfum, Urea, Panthenol, Camellia Sinensis Extract, Sodium Hyaluronate, Ethylhexylglycerin, Polyacrylamide, C13-14 Isoparaffin, Laureth-7, Sodium Hydroxide. HOW SHOULD TOUCH HAND CREAM BE STORED?